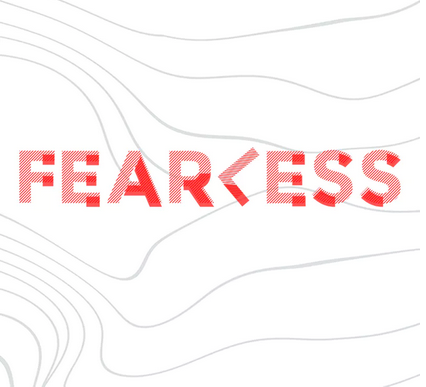 We are called to become fearless witnesses and share the real love of Jesus with those around us. Pastor Chris mentioned inviting people from his CrossFit class. Can you think of a time when you or someone you knew invited someone to church? Maybe you can remember when someone invited you to a church for the first time. How did that work out? Life can feel pretty hopeless without the presence of Jesus Christ in our lives. This weekend we are studying a time in Israel’s history when God’s people were hopeless. They were starving and feeling pretty desperate. As we revisit this story, let’s think about the necessity of knowing Jesus and sharing Him with others. Over and over throughout scripture we see God’s people taking things into their own hands. What are some ways we see the people handling their situation in this passage? What do we do when we are desperate? How do we attempt to solve our own problems? Who did the messenger to Elisha say was responsible for the disaster? Do you ever feel this way? How can we avoid misplacing blame? What are some of the ways we see God working to help the people? Is there anything significant about the group who found the abandoned Aramean camp? Have you ever felt that God could not use you? Why? For deeper study, as an alternative to the questions above, read 2 Kings 6:24-7:16 and use the Discovery Bible Method to explore the passage. Getting to know you: Many times we act independently instead of relying on God because of the fear it can take to trust God. As you are thinking of whom you can invite to Easter, what can you remember from this week’s discussion when fear moves into your mind? Getting to know them: In your dyads and triads, discuss ways you can invite people you know to church this weekend. What are the hesitations or roadblocks that hinder you? What are some strategies for overcoming these blocks? Getting to know Him: Choose a verse to memorize this week for encouragement. You might choose the Great Commission (Matthew 28:19-20) or Matthew 19:26. Touch base through the week and lift each other up in prayer. Engaging at Faith Promise: Since this week we are working towards inviting people to church for Easter week, let’s pray for our church family. Pray for all the volunteers who work to make so many Easter experiences available at all our campuses. Pray for strength and courage to invite, and pray that we hear amazing stories as God works through us to grow His Kingdom. Engaging in Community: Who in your community will you bring to attend a Faith Promise Easter experience? Engaging the World: This week we saw a story about our partnership in Nairobi. Pray for the children in this community and our other partners around the world. Pray that God’s love for the world would be visible through our actions and generosity in the world. In addition to inviting friends and family to attend a Faith Promise experience, remember to invite them to your group to engage and spend time in His Word.